The collection this year is also way too adorable! LUSH’s Christmas coffret | Elly! There are 19 items limited to this year’s Christmas collection! The theme is “Naked Christmas”. They are all so adorable that you can almost hear the wails saying that they can’t choose. 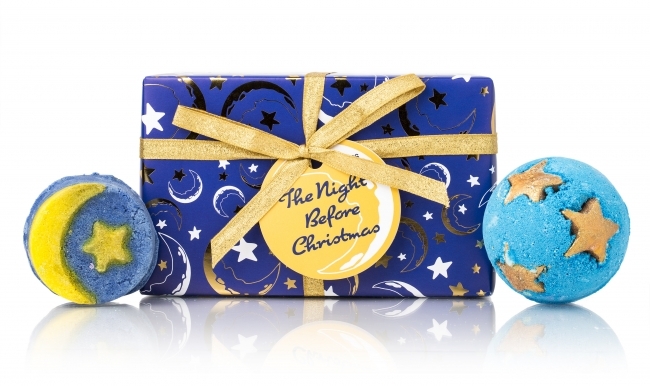 “Shoot for the Stars”, the bath bomb that fills your bathtub with midnight blue, the colour of the night sky, and “Christmas Eve”, the bath bomb that envelopes the user in the fragrance of ylang-ylang and sets the stage for a bubble bath for adults. The standard LUSH winter line shower gel “Fairy Candy” and “Fairy Candy Gel Bomb” a jelly bomb that provides the user with a novel bath-time experience, are packaged together in this set. A gift that also has attracted berry-print packaging. Why not surround yourself with a divine fragrance and enjoy yourself to your heart’s content in preparation for Christmas? The bottle version and the Naked version. Which one would you choose? The Naked version has been designed to look like a bottle, and yet, it works perfectly even without an actual container. Consumers might be enticed to think about why the Naked version does not require a container, and to also think about the necessity and impact that packaging and containers have on the environment. 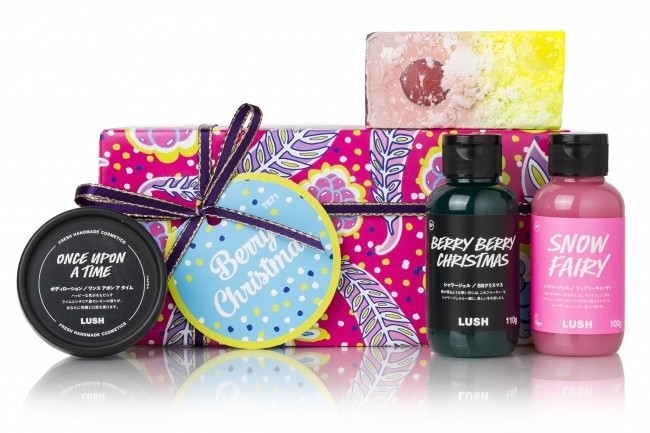 As befitting the image of the brand that is known for its environmentally friendly products, LUSH is making 100% recycled paper as the center of the wrapping papers, and are also recycling cotton and using ethical materials. 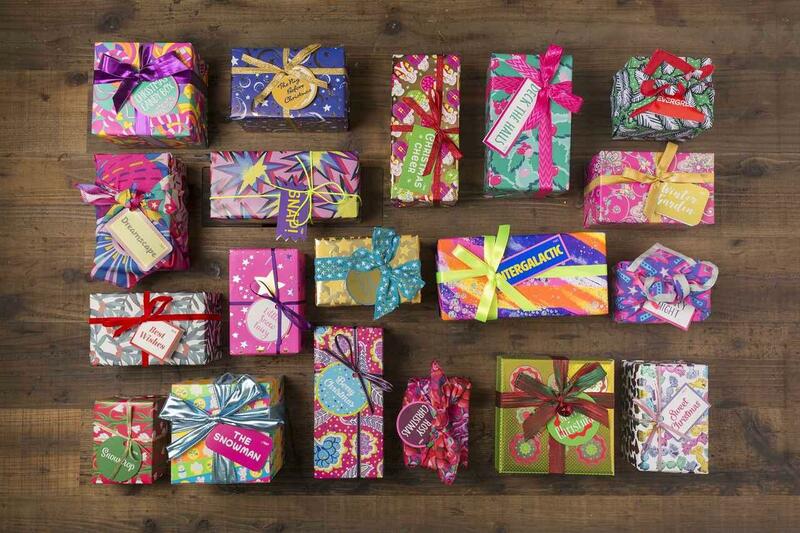 The LUSH Christmas Limited Collection that attracts attention every year. We would like to introduce items that not only look good visually, but are also environmentally friendly, products that reflect to perfection LUSH’s image.